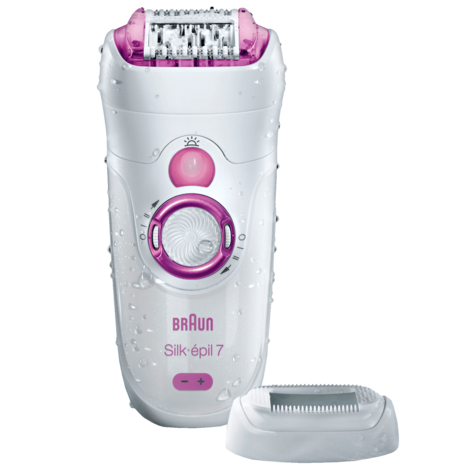 The Silk-épil 7 epilator is highly efficient, yet extra gentle. It is cordless and watertight, so it can be used Wet or Dry, in the bath or shower, for a virtually painless epilation with regular use. 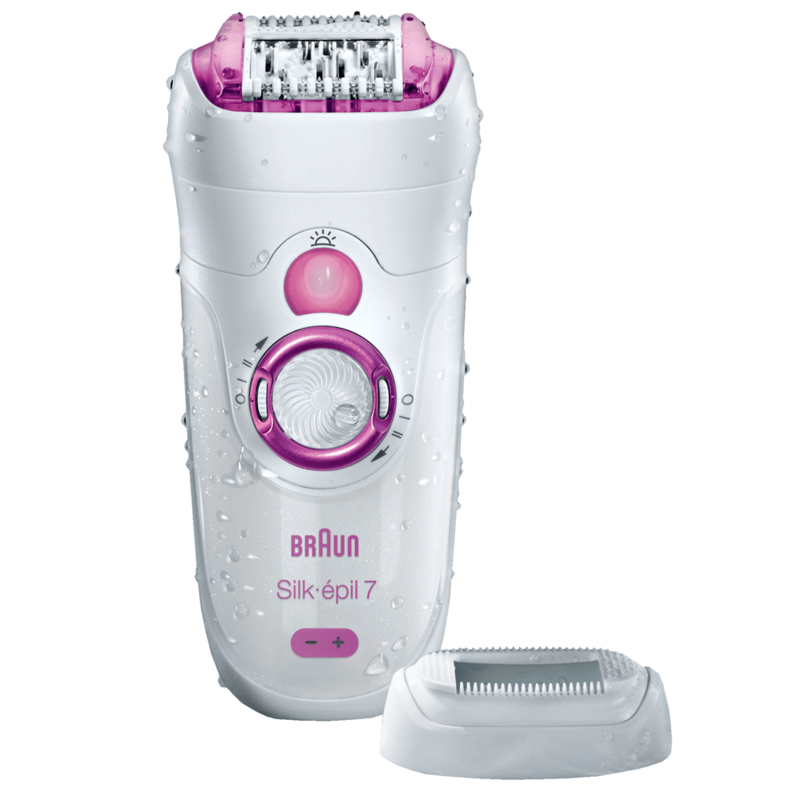 The high frequency massage system provides extra comfort through pulsating active vibrations while you epilate. The 40 Close-Grip tweezers removes efficiently the shortest hairs down to 0.5mm and provides smoothness that lasts four weeks. 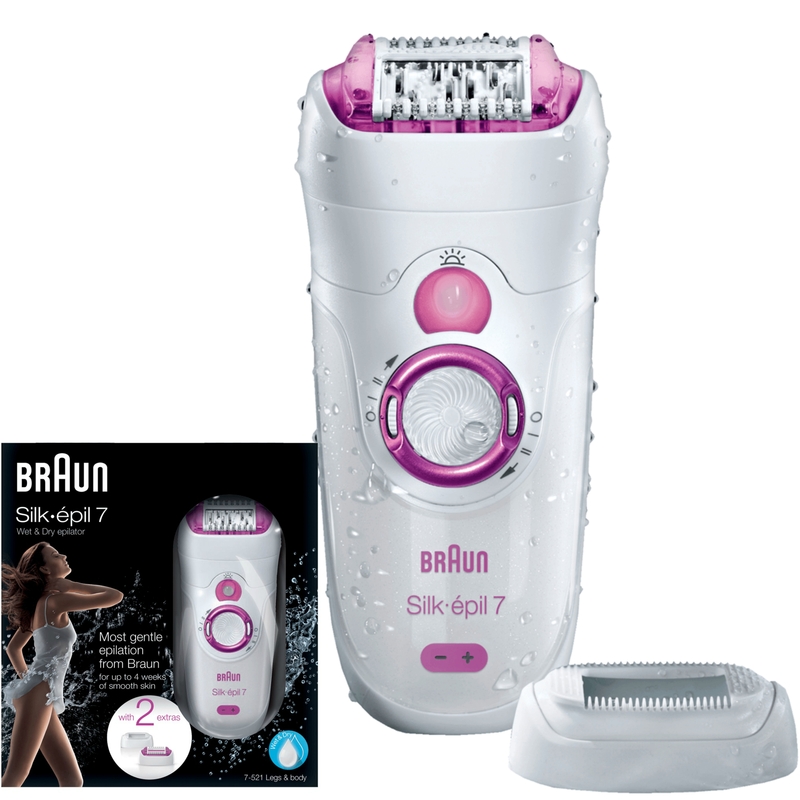 Extra comfort through pulsating active vibrations.